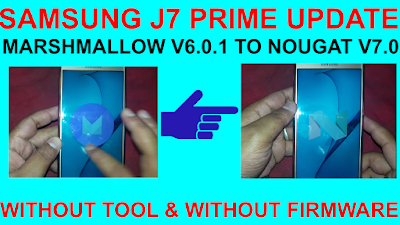 SAMSUNG J7 PRIME UPDATE MARSHMALLOW V6.0.1 TO NOUGAT V7.0 WITHOUT TOOL & WITHOUT FIRMWARE. 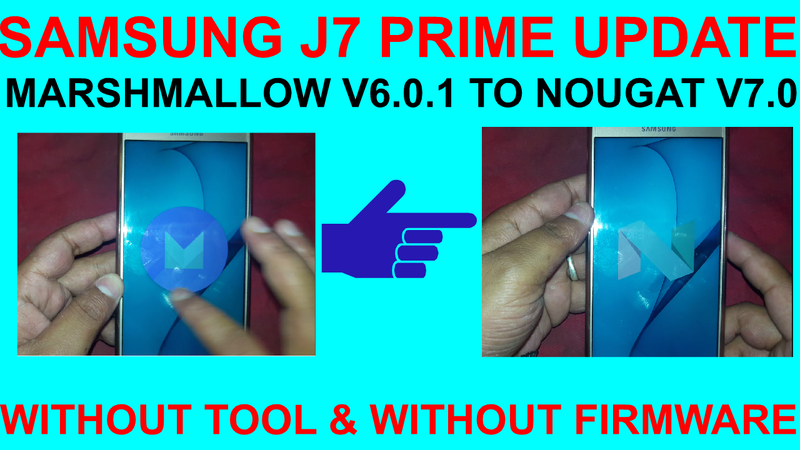 SAMSUNG J7 PRIME UPDATE MARSHMALLOW V6.0.1 TO NOUGAT V7.0 METHOD. 2# Connect your phone personal wifi. Note: Your phone charge minium 60% requred. 5# Click downlod update manually. 6# Now your phone firmware downlod process. 9# Now your phone update process few mins. 10# Now your phone update v6.0.1 to v7.0.